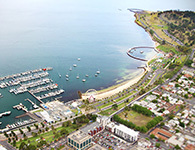 Geelong is a family friendly city, where all of you can enjoy a great scope of activities for the littlest of the house and adults as well. Stay tuned at the Events Geelong website to read about what’s on. To bring your family over to Australia while you study here, you must list your family members (husband/wife and children) on your application. For more information read the section, 'How to apply for family members to join you' , on the Department of Immigration and Border Protection website. You will need to enrol your children in a primary or secondary school, depending on their age. If you want to apply for your dependent children to go a Victorian school, you can read more on the 'How to Apply' page on the Victorian Government Schools International Education Program website. Choose the 'Dependant Application' box.